Bajaj launched their model, Pulsar around a decade back in 2001. Then its elves, it has been the flagship model of the company. 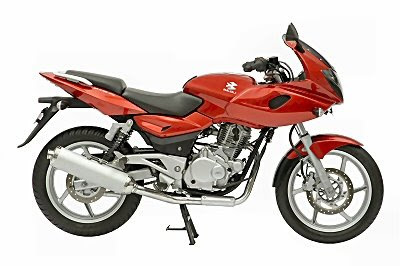 Bajaj emerged as an international brand after its tie-up with Kawasaki. As the time passed, Indian motorcycle industry has witnessed many changes in the Pulsar and its going to be 250cc. All those past 10 years, Bajaj introduced 135, 150, 180, 200 and 220 cc models of Pulsar and they discontinued the 200 cc version later. 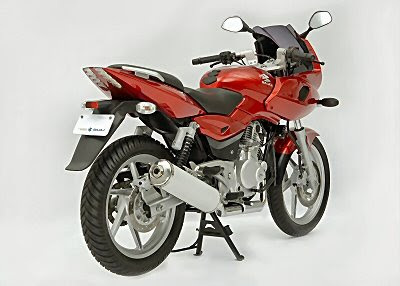 Now that, the company is announced that the 250 cc version of the Bajaj Pulsar will be launched in the November 2011. The company has not yet disclosed the price of the all new pulsar. But its expected price goes in between Rs. 1.2- Rs. 1.4 Lakhs. Bajaj is to launch its 250 cc version, as a strong contender against Honda CBR 250R. It has a monoshock suspension, which improves the maneuvering of the bike which makes its title ‘Definitely Male’ more suitable. The Bajaj pulsar 250 is equipped with liquid cooling system as such a big bike has to with higher temperature conditions. Its 4 valve technology enables more fuel to be pumped in to the cylinder Other unique features of the Bajaj pulsar 250 cc are the unique projector headlamps and rear disc brakes. The tires of the 250 cc will be fatter which makes it a beast. It is also speculated that a power output in between 24-26PS will be delivered by this edition of Pulsar. It is undoubtedly sure that the Bajaj is targeting the Indian youth, who are in very much craze towards stunting and it was noticed that many youths who are into the stunting bought the 220 cc which was known to as the ‘fastest Indian’ The only detail about the Bajaj pulsar 250 launch is that it will be during the third quarter of the 2011. At the same time Honda will roll out the CBR 250R also. But is quiet sure that it will bring about a strong competition in between the Honda and Bajaj in the Indian motorcycle market. The company is confident that such a model like Pulsar that won the heart on millions in the nation, will never be a failure and such a true male blood will be a big success. So the ‘fastest Indian’ is going to be the superfast as pulsar rolls out its 250 cc version!